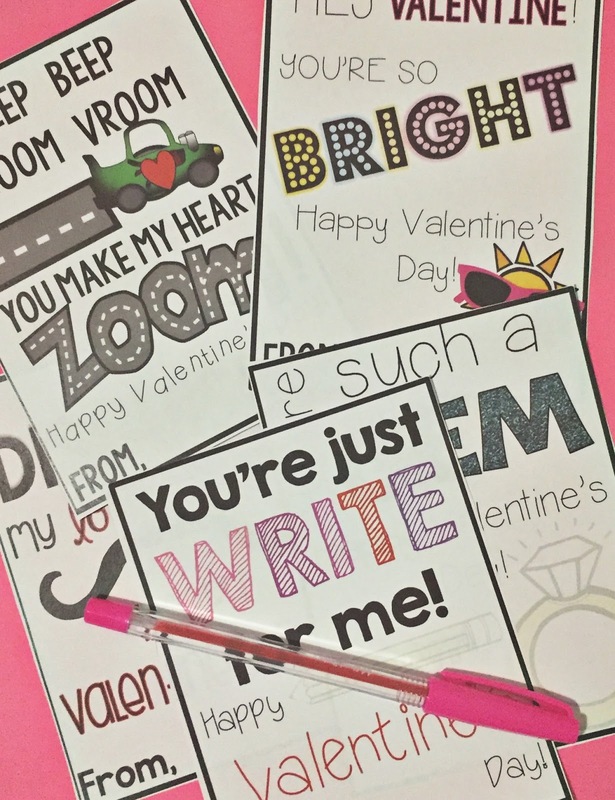 I have loads of ideas and resources for Valentine's Day in the classroom! Find more information and access to these activities by clicking on each of the pictures. 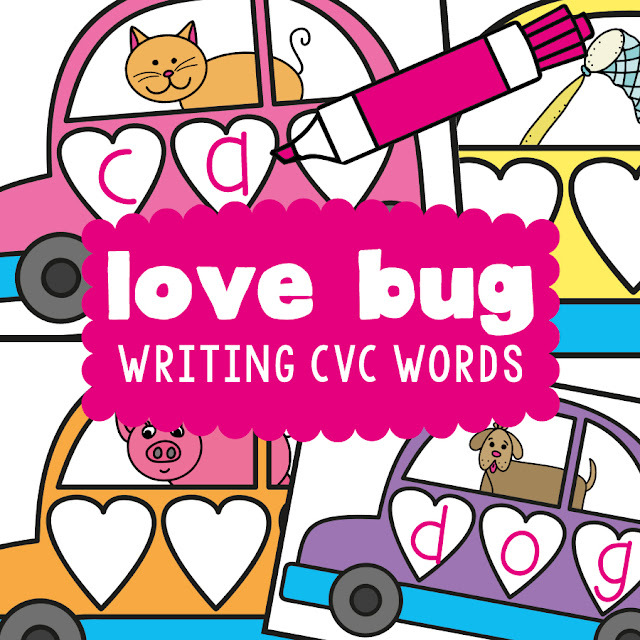 Love Bug Write and Wipe Cards will help your students segment cvc words. 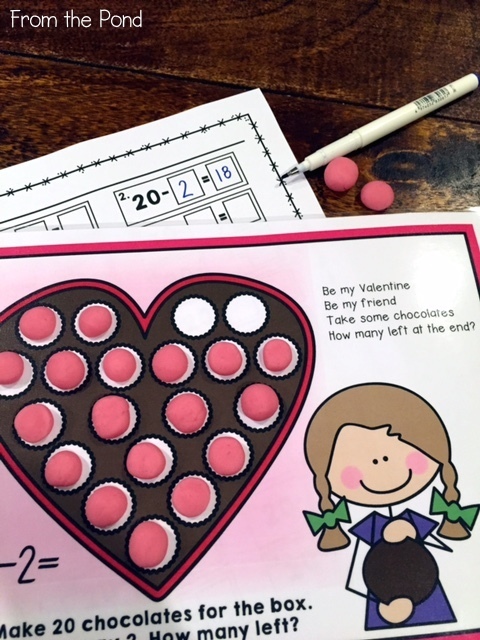 Making hearts to model addition is just one activity in my Sweet Centers bundle. 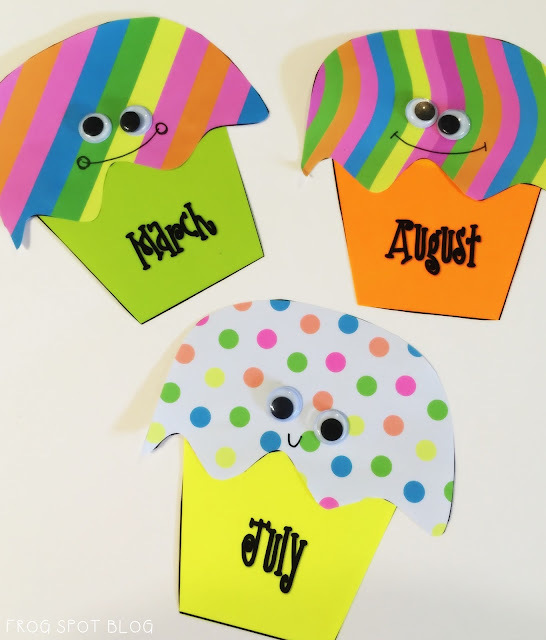 Pop over to one of my previous blog posts to grab a FREE fine motor pinning page. Your students can write about things they love in this sweet flippable cupcake book. Some scrappy colouring will help brighten your classroom! This is another free download! Why not make some super-easy and cute cupcake-liner butterflies! Get your students rolling and adding with my chocolate themed Play Dough Mats. You could also use counters or dry erase markers. 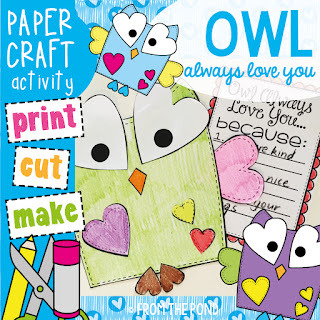 Send a loveable owl home with your students with a list of things they love! 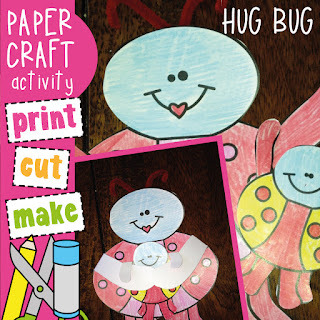 Or make a Hug Bug to give to someone special! Thanks so much for stopping by our blog today - I hope you have a wonderful week! The best time of the week has arrived! Here are 5 random happenings from my week. I found these fun non-food gift ideas for Valentine's Day over at Rachelle's store. Love! I got all crafty and actually made something I saw on Pinterest. I have resumed a 5 day teaching program. People hate me for saying it, but who cares...... it is actually easier than teaching part time! Love it. I also love that I have a blackboard. And neon chalk. 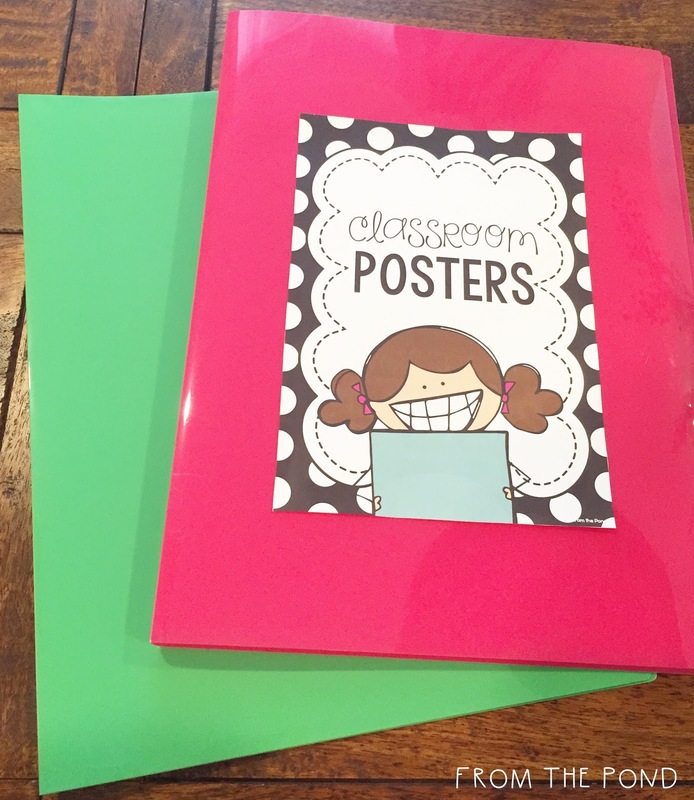 Speaking of classrooms, I love saving cute and practical ideas for the classroom. Find my Pinterest board HERE and follow along if you would like to start saving ideas too! 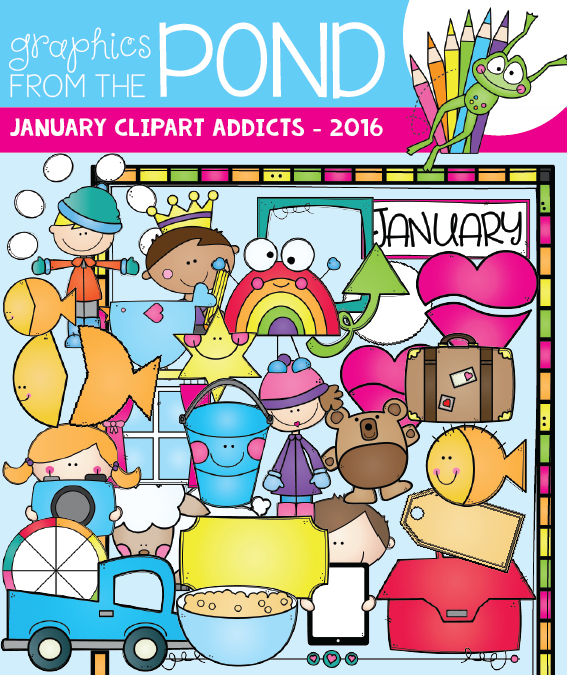 Over the weekend I will post the final images in my January clipart addicts and scrappy addicts sets. Look out for the February listing and early-bird special price. Learning to 'make ten' is such an important skill and will help your students on their journey to developing more complex skills in math. 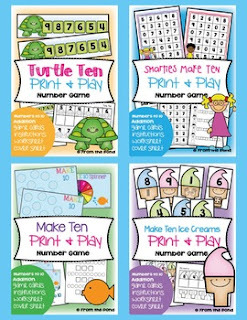 I recently added three more activities to accompany my 'Make 10' print-and-play game packet on TpT. 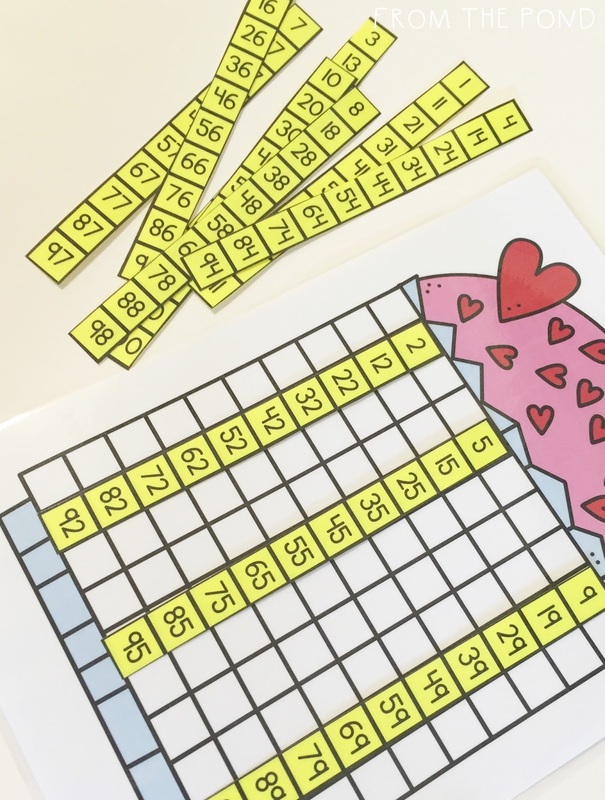 Each printable game also includes a follow-up or recording worksheet and a cover page to help you organize your resources. I like to keep mine in clear plastic document wallets. Hi friends! I wanted to share with you some updates and new additions to my clipart collection. My "Oh So Pretty" teacher-maker set has been updated. This one has elements that you can combine to make a cover for your documents or perhaps a classroom resource. I listed a new version of this set also, with a few additional pieces and a new colour palette. My 'watermelon' set has been completely remade. 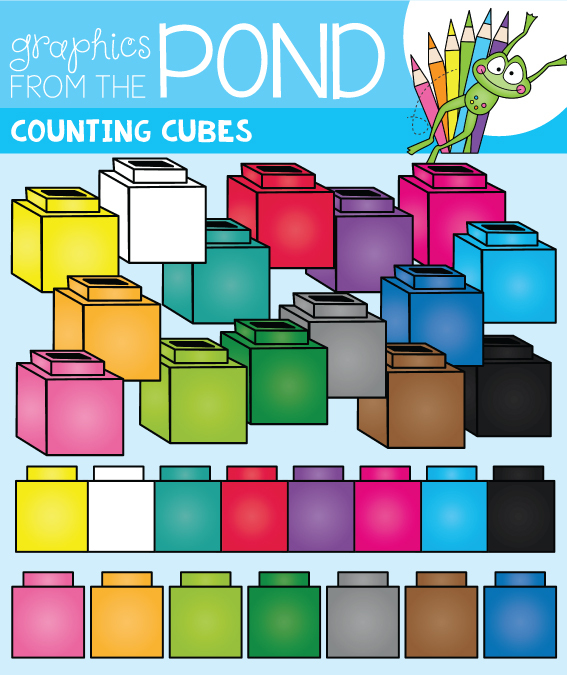 New colours in my 'counting cubes' set! 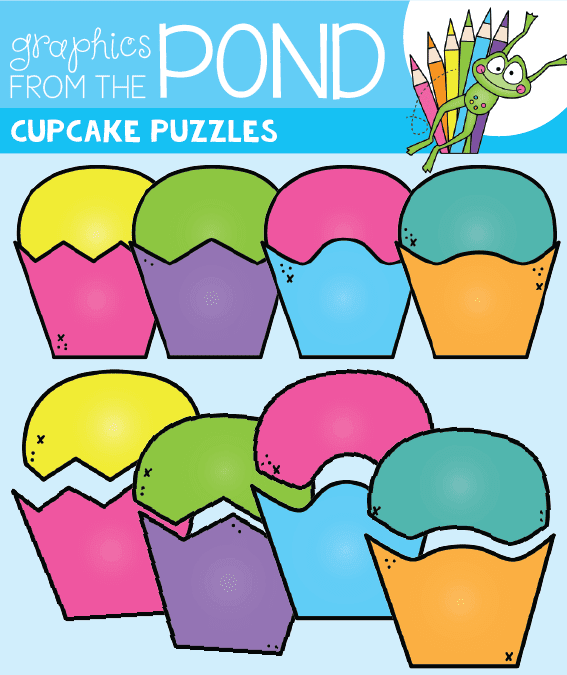 Make some fun games and activities with these cupcake puzzle templates. 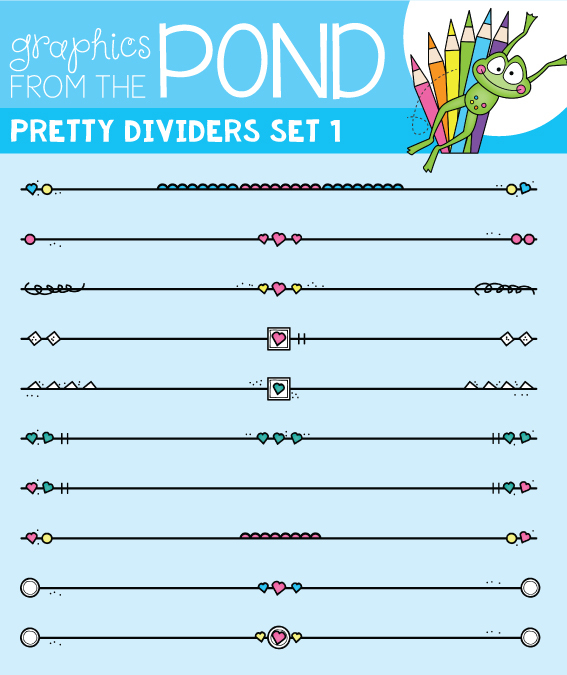 I have started a growing bundle of 'pretty dividers' (provided in fun bright colours and line art) to make your worksheets and notes look snazzy. And revised my Scrappy Butterflies set! There are now 2 colour options for each design. 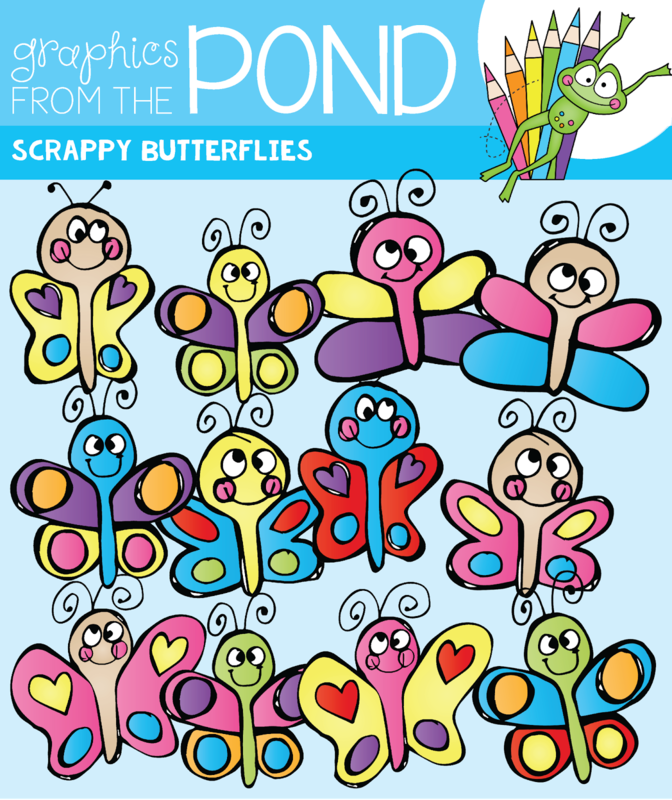 I apologise for any inconvenience caused with this set - the download was not working correctly and I had accidentally been checking the listing of my other set of scrappy butterflies. The result? I am getting a whole lot of work done! Silver lining to a horrible storm I suppose. The 26th January is Australia Day! We celebrate being Australian and our diverse country, cultures and community. 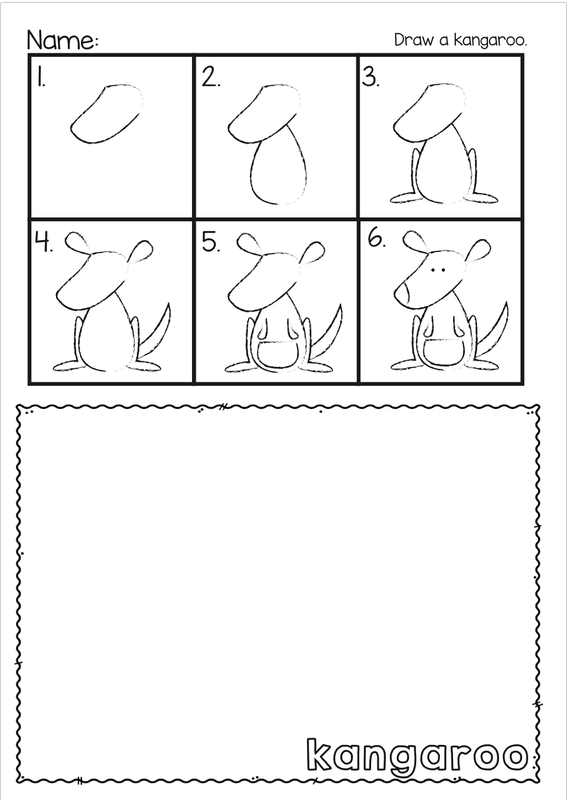 I made a kangaroo directed drawing that might fit in with what you are doing in the classroom to discuss and celebrate Australia Day. I am starting to get myself out of summer-mode and back into the real world! What better way to get back in routine that with a Five-For-Friday post! Making a point of taking photos through the week to share in a FFF post is a great way to relish the small moments in life and build a sense of accomplishment out of the sometimes-random-and-chaotic world of being a teacher - if you don't currently do a post for this link-up, I highly recommend it. Add a reminder to your diary to think about a photo each day to share. I love the fact that there are no rules, and really - that is how Friday should be! 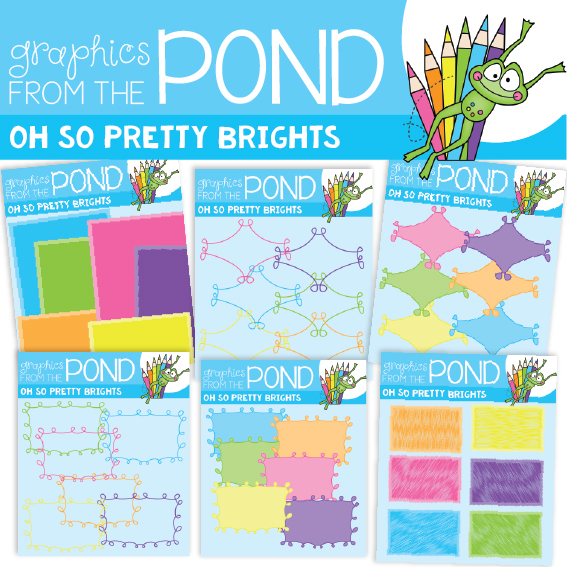 I found these cute free templates in Amy's store and printed them on bright paper for a months-of-the-year display! They would also be great for birthdays! You may remember when I posted about the birth of my sweet baby boy back in 2012. We have been on such a journey together here at home. 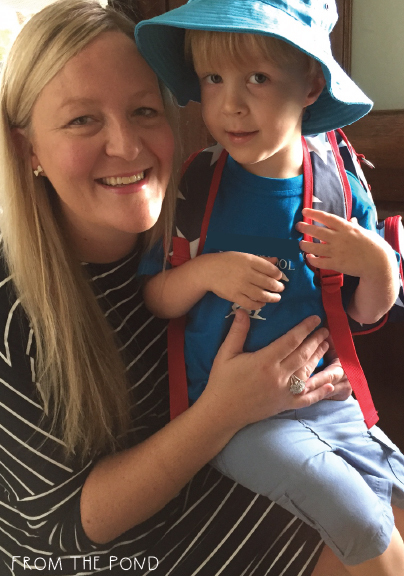 Sam had his first day of preschool this week. He loved it. I cried. Life is beautiful but oh so rapid. My arms ached all day for one of our frequent hugs. Today I am writing this post from a house that just has me in it. Maybe the second or third day in 8 years all to myself. It is strange - quiet and empty. I am beginning to think Saturday will become my new favourite day. I went to the art gallery this week to see an exhibition called Happyness. In short, spelled incorrectly to reflect the notion that things can be messy or imperfect and still bring us joy. 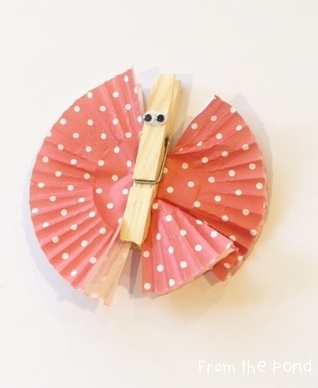 This is a growing artwork that we could add to by folding a paper/ribbon star. It was breathtaking. 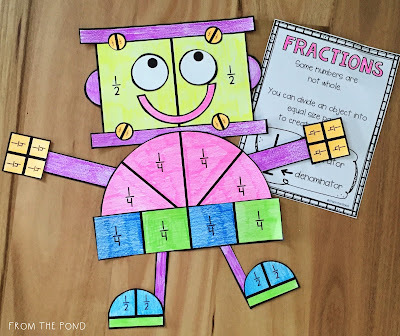 Combining math and creativity in one fun learning experience - meet my fraction robot! 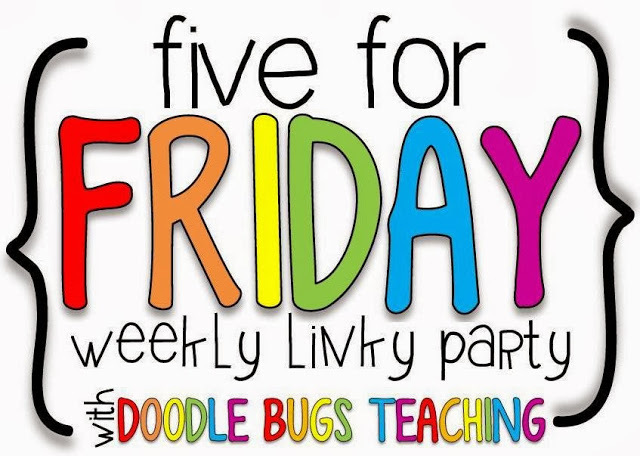 Head over to Doodle Bugs for more FFF posts! 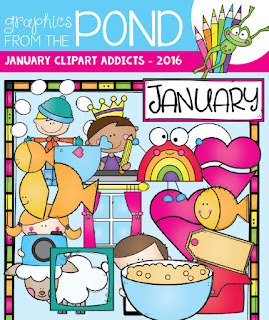 If you have my January Clipart Addicts growing set you will find a new little batch of images uploaded today. 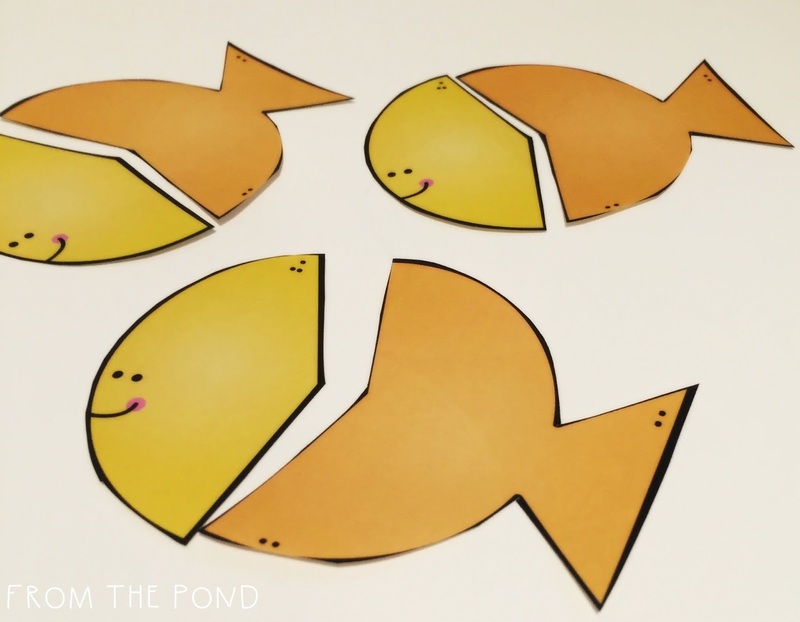 Included is a 'fish puzzle'. 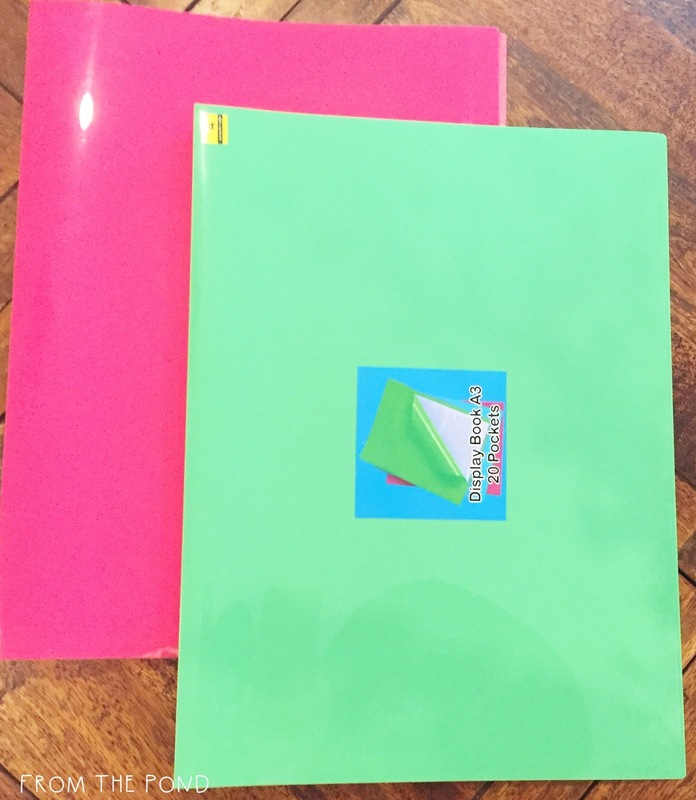 Use them to create games and activities for your classroom and in printable resource files. 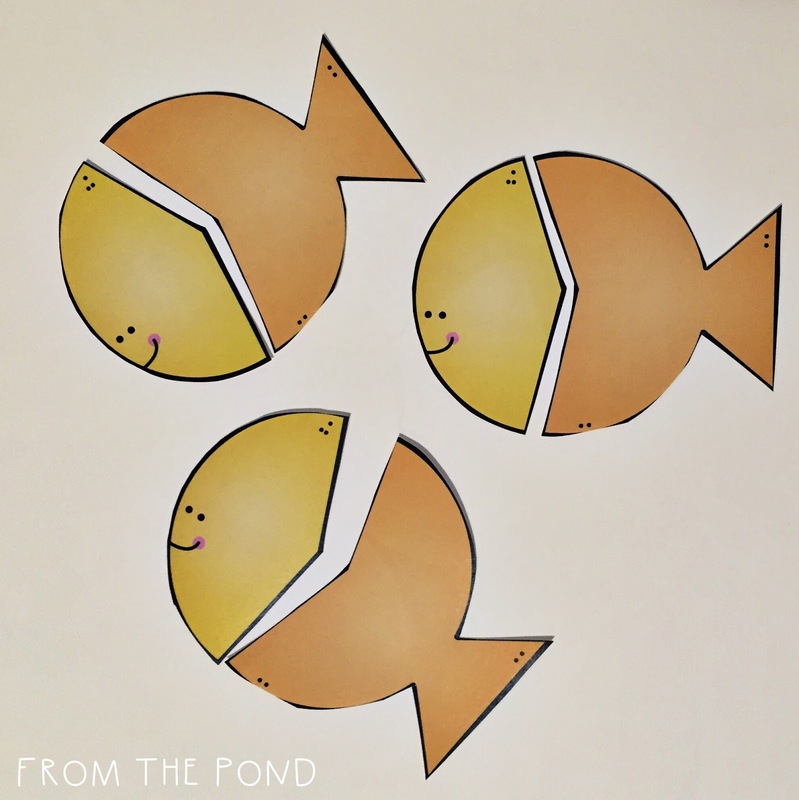 I think they would be really cute in a magnetic fishing game, where students have to fish out the matching cards to a pair. 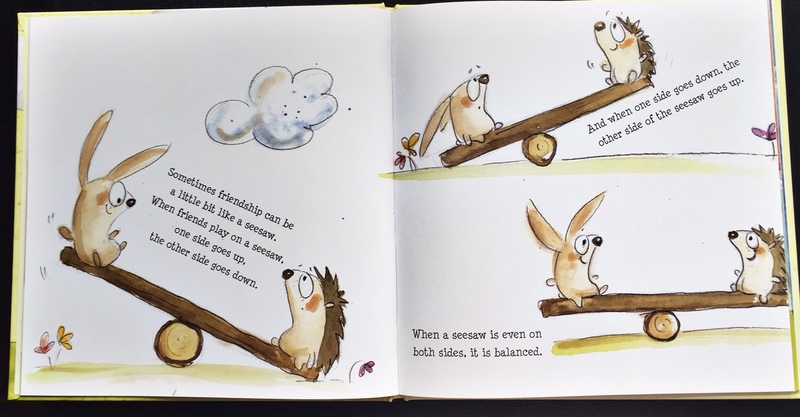 In the interest of transparency, I have to tell you that I was asked to review this book - Friendship is Like a Seesaw. 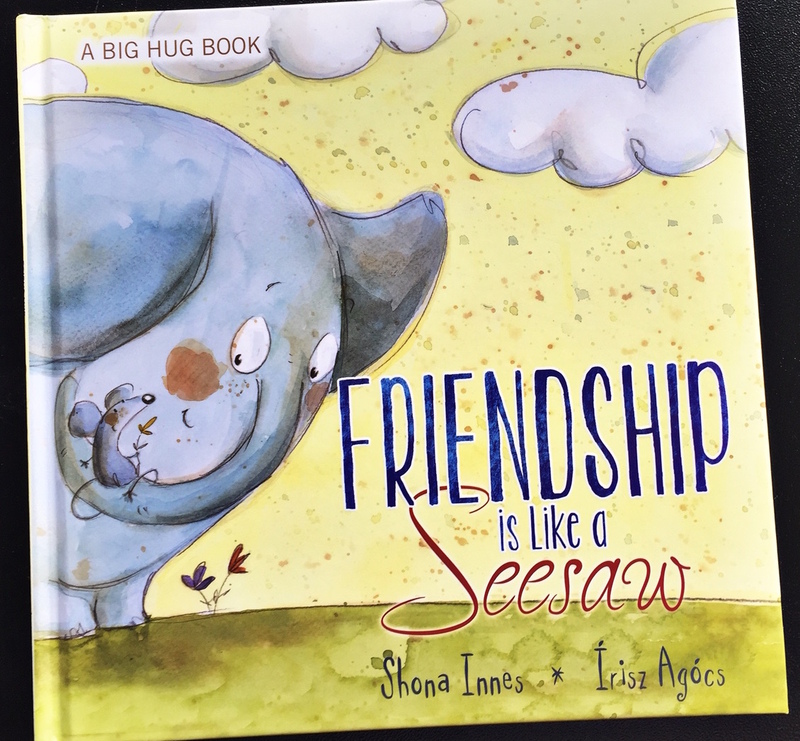 It is a book in the A BIG HUG series by clinical psychologist and author Shona Innes. I didn't have to think twice, I didn't need to be convinced and I didn't need to go and buy the book! It was on my shelf already (you may have noticed that I shared it on Instagram last year). Furthermore, I had planned to do a lesson with this book early in our first week back at school. Thinking back to when I purchased this book, I remember seeing it on the shelf and grabbing it swiftly and tucking it under my arm. Experienced teachers know straight away what is going to resonate with children. Instantly I knew that explaining friendship with the visual of a seesaw was simply perfect. I adore how the book explains that sometimes in a friendship, someone is up, and the other person is down. It goes further to explain what might happen to make someone feel down, and how to go about getting things back 'in balance'. So many books I have read in the past about friendship, have students thinking that things always have to be peachy-keen and cupcakes. I love that this book helps students understand that it is normal for friendships to be out of balance at times - and it is not the end of the world. I could already tell that it would be a great staple to have on hand for all those times when students return from outdoor play, red-eyed and blubbering with tears. When they feel upset, hurt and frustrated that their friends have let them down in some way. Just reading this story will help them calm down and realise that things can be fixed. 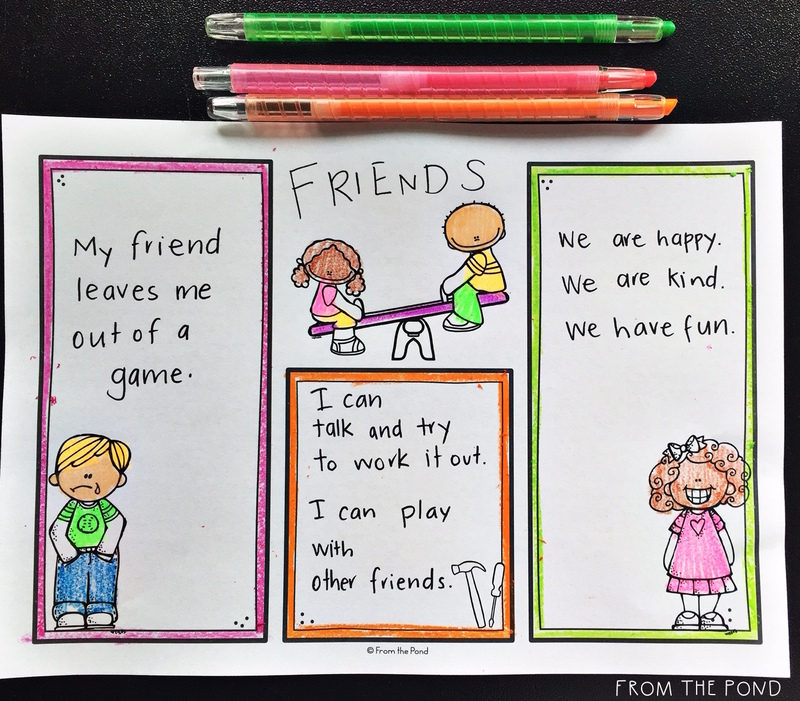 I would suggest making a chart as you read this book for a second time, and as a class write down everything that you have learned about friendships. Ask students to contribute some of their own ideas as well. 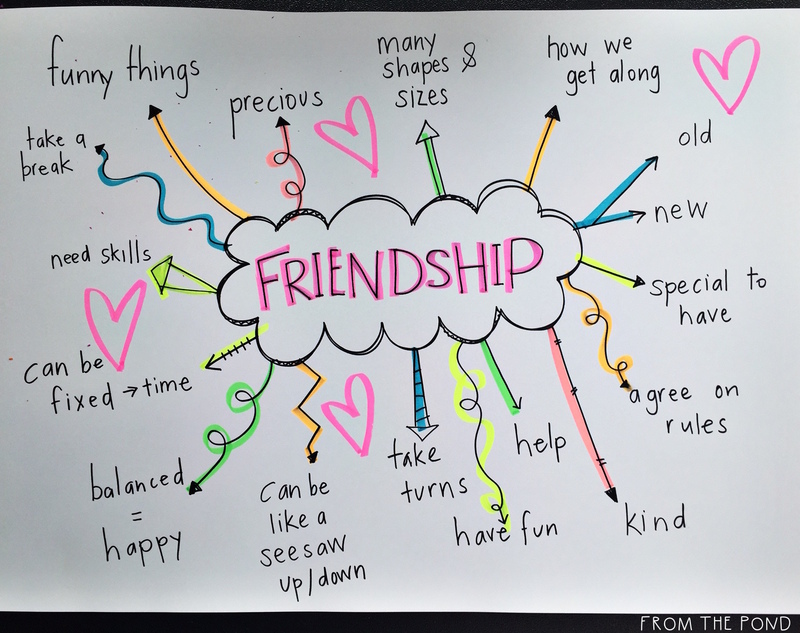 Talk about how friendship looks when it is balanced and how we know it is working for both people. Talk about the sorts of things that happen to make someone feel 'down' and then how we work this out and repair it with some 'friendship skills' or 'tools'. 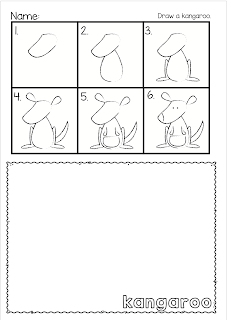 Your students can draw a picture or write about each of these on this worksheet I made. It is a worksheet I have been using for years, but I added a seesaw visual to tie it in to the story. I would love to build my library of books about friendship, especially for this time of year - if you have some favourites, please leave a comment and let me know. 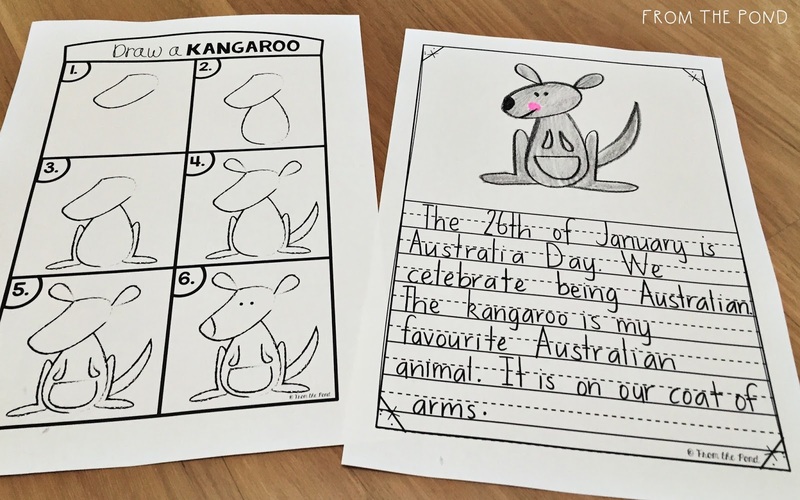 Teachers and students in Australia are beginning a new year of learning at the end of January. We are well and truly in 'back to school' mode! As I prepare things for my classroom I try to think through to the end of the year - as difficult as that may be! I try to plan how my resources and teaching aids will be packed up and stored. One thing I love to use for storing my posters and flat decor is large display books and artist portfolios (for my REALLY big posters). At this time of year you can pick them up for a few dollars. I put a cute label on mine (free link at the end of this post) so I can remember what is in each. I have quite a few of these now, and love flicking through and seeing things I made in my very first year of teaching. It brings back lots of memories and helps me recall all the things I need to get prepared! 1. 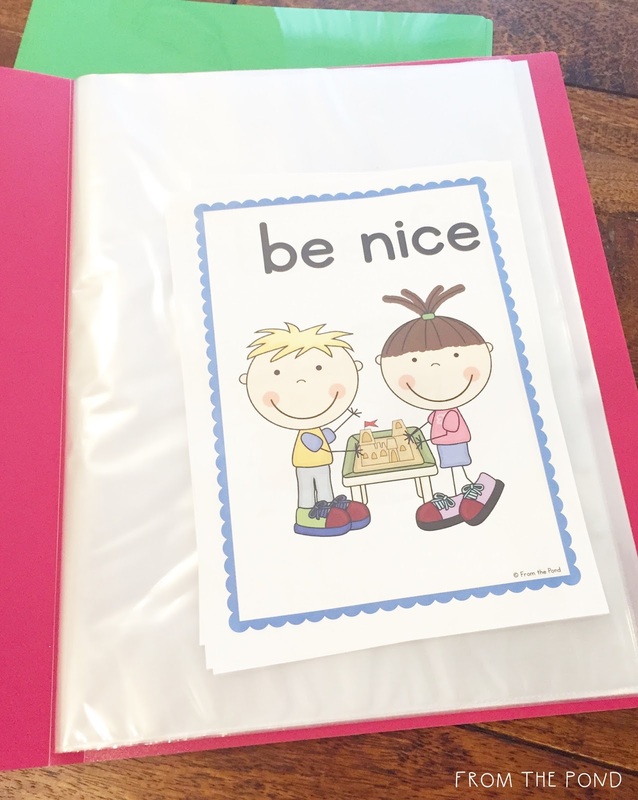 Less is More - I certainly have quite a haul of teaching resources that I have collected over the years and to my husband's disappointment I continue to buy and create more. I love having options to choose from and my tastes change. You will not want to display everything you have for your room right away. 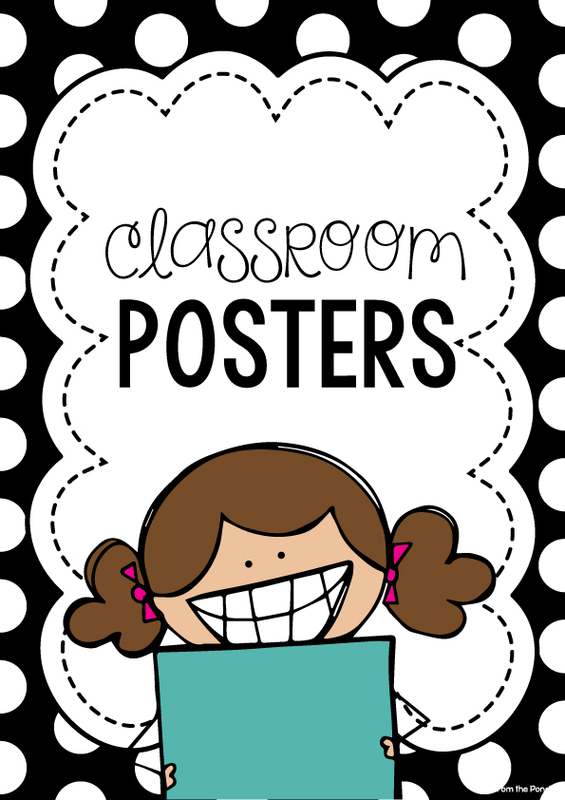 Put a few things up to make your classroom inviting on your students' first day, but leave some things to contribute collaboratively to your classroom environment. This will make your students feel part of the process and included in the development of the learning space. I try to make my posters and displays a combination of decoration and function. They need to be useful in some way and have a connection to your class program, but if they can add an element of visual appeal, then you are saving yourself time and expense! Before you hang something up - think - is this purpose served somewhere else in the room? Am I doubling up? Will my students look at an alphabet chart six meters away from their desk (way above their eye-level) or will an alphabet desk chart be more suitable and effective? Depending on the space you have to work with, these sorts of questions will be very important. If you are limited in space, try having a few of your posters bound together with a ring-link and then flip them over to show content that is applicable in different times of your day. These are also called anchor-charts. Not everything has to be 'on show' all of the time. 2. Application - think about how you are going to attach a poster to a surface. Is putting a staple through a beautiful piece of wall timber really what we want to be modelling to our students about respect for the classroom? Perhaps consider as well, your responsibility to remove what you apply so you are not causing five days work for someone else down the track. Eucalyptus oil and microfibre cloths are fantastic for removing old bits of glue, blue-tac and dirt that have been left on a surface, before you put your new things up! Saved time, energy and expense making a poster. Reduced glare. The shine of a wall of lamination makes me loopy - am sure some students feel the same way! If I give up time and wall real-estate to add displays, I want them to be as functional as possible - non-shiny posters are more likely to engage my students. 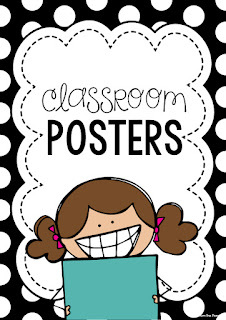 There are some things I choose to laminate - usually displays that are low or at eye-level, interactive displays that are handled by students repetitively and posters that can be used with a dry-erase marker. 4. Fonts - get over the obsession with handwriting fonts. It is NOT crucial for every tiny model of print to be in your school's mandated handwriting font. In fact, students find it easier to learn to read with text that is more similar to a font that you would find in a book. Handwriting fonts are perfect for models when you are teaching the WRITING components of your program, but if we want our students to read a variety of texts, having a variety of fonts on display just makes sense! 5. Readiness - I like to have a stack of printed paper labels ready-to-go so I can whip up a poster or label in seconds. 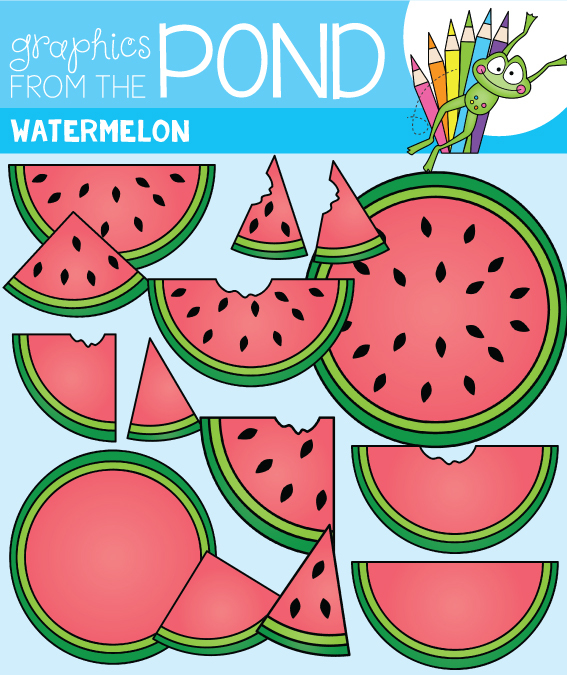 Use bright coloured markers, draw pictures (or have a student draw) and add fun stickers to add interest and appeal. Using easy-to-prep consistent themed-labels will help you to look organised (a theme or decor consistency will add a visual 'calmness' to your room) and is time efficient.